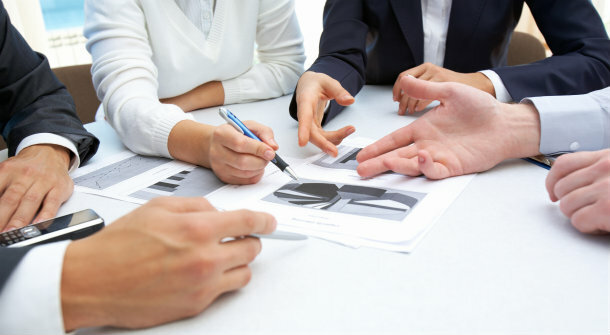 A settlement agreement (formerly known as Compromise Agreements) is a legally binding document which is commonly used to resolve workplace disputes and is made in contemplation of an employment ending. Such an agreement is made between an employer and its employee. Situations giving rise to a settlement agreement could include a redundancy scenario or a notice that an employee will be placed on a performance improvement plan or even, subsequent to a grievance being lodged at work. In such situations, an employee feeling aggrieved may object to, for example, the redundancy selection in a redundancy scenario. In recognition of convincing arguments, the employer may then offer the employee a settlement agreement; although, strong argument is not necessarily the precursor to such agreements. The essence of a settlement agreement is that an employee expressly waives her employment rights under statute e.g. any rights under the Equality Act 2010, Equal Pay Act and so on, which prevents her from pursuing any claims in an Employment Tribunal in the future. Most often, the employer may agree to provide a termination/severance payment and an agreed reference in return for the employee’s waiver. However, in some circumstances, an employer may only agree to provide a reference. It is also important to note that any potential claims for pension rights and personal injury are usually excluded from the agreement; therefore, an employee would not be precluded from making such claims in the future, if necessary. It is a legal requirement that before agreeing to the terms of a settlement agreement and subsequently signing it, independent legal advice must be sought from an independent legal adviser (usually a solicitor). The main purpose of this legal requirement is to ensure that an employee fully understands the implications of signing a settlement agreement as well as the particular rights they are waiving. In addition, an independent legal adviser would be able to advise an employee on the merits of any potential claims. Fees for such advice are usually paid by the employer. Although an employer can initially provide the terms of a settlement agreement as well as the amount of the severance payment, depending on the nature of your claim, such terms and amount may have further scope for negotiation. This may mean that a higher settlement could be obtained. Your employer may be open to negotiate after your legal adviser has provided a strong, legally based argument in your favour. In this light, it should be noted that under a settlement agreement, the first £30,000 obtained as genuine compensation for loss of office is tax free. This means that HMRC will not tax the first £30,000 and that anything above this amount is subject to taxation according to the usual rules. A settlement agreement can benefit both an employee and employer. For the employer, immunity against potential claims is gained which provides peace of mind for the business. For the employee, it can provide an exit route with the benefit of a severance package as well as a good reference. It is worthy of note that an employee is not obliged to agree to a settlement agreement. Indeed, in some situations, redress may only be obtained by going to an Employment Tribunal. You may want a non-derogatory clause, so that your employer cannot bad-mouth you. Not all banks will agree to this as it is impossible to police by large scale employers, but most should at least agree to "using their best endeavours" and in some cases will agree to named specific individuals. An agreed job reference should be attached to the compromise agreement wherever possible, together with a clause that no oral references will be given in any less favourable manner. Remember, an employer is not otherwise obliged by law to provide a job reference. Make sure that no post- termination restrictive covenants are introduced in to the settlement agreement without unless you having already agreed to this in your contract of employment. Even where you do have previous restrictive covenants, you may want to consider asking for a variation of these in your compromise agreement. Some settlement agreements try and "gag" you from stating the reason for your departure to any third party. This should be resisted, if for no other reason, to allow you to talk freely with potential employers. Make sure that the agreement properly reflects what outstanding bonus is due to you, especially where the bonus is being paid as deferred stock after you leave the Bank. Make sure any stock options and share awards are also covered. Ensure all accrued but untaken holiday is included in the agreement. If you are not asked to work your notice, you will be entitled to be paid in lieu of your notice and this should be reflected in the agreement. Legal fees- make sure the contribution is sufficient. Most banks will contribute up to £500 plus VAT for your lawyers fees, but some are less generous. You will be asked to keep the settlement agreement confidential. This is important and you should resist the temptation to talk to colleagues about what you are receiving under the agreement. You may have another job to go to at the time your compromise agreement is signed, yet you could be asked to warrant that you have not been offered a new job or even entered into discussions leading up to a new job. You need to inform your lawyer if this applies to you as there may be an opportunity to amend this clause- or you could otherwise be in breach. Above all, be aware that once you sign the settlement agreement, there is no going back. Together with your employment lawyer, you need to decide whether the amount of compensation on offer properly reflects your entitlement. In genuine redundancy situations, your options will be more limited, but in other cases there will be scope to negotiate on the severance sums. It will be too late, however, once you sign the agreement.